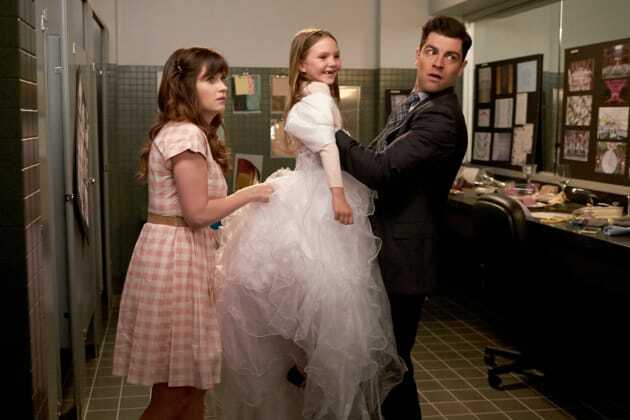 Jess scrambles to get the dress ready on time for the wedding on New Girl. "Dress" is the 19th episode of the show's fifth season. New Girl Season 5 Episode 19: "Dress and Return to Sender"